You’ll have to look closely to see them, but there is a group of walkers walking along the cliffs opposite. This is in the far south of the Oa, looking west. Beinn Mhór (202m), our destination, visible in the distance. I believe this is just above Rubh’a’Bhuic (not visible, on the left). 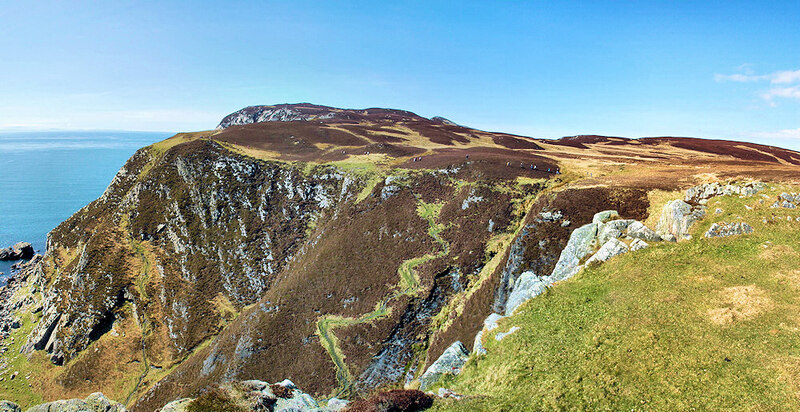 This entry was posted in Landscape, Repost, Sunny Weather and tagged Beinn Mhor, Islay, The Oa by Armin Grewe. Bookmark the permalink.